With the availability of seamed and seamless skirts, the opportunities and palette of ideas are endless. 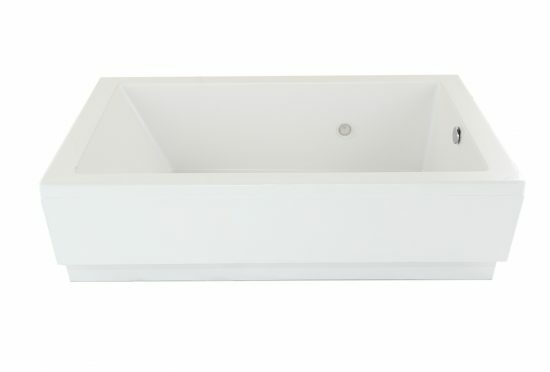 Peninsula, corner, free standing, Zen, corner with access panel: if you can think of the application we can build the tub. Corner Skirt: To complete the exterior finish of our corner models, the single-piece molded panel option offers access to the system’s interior. *Adds approximately 2″ to framing height dimension. 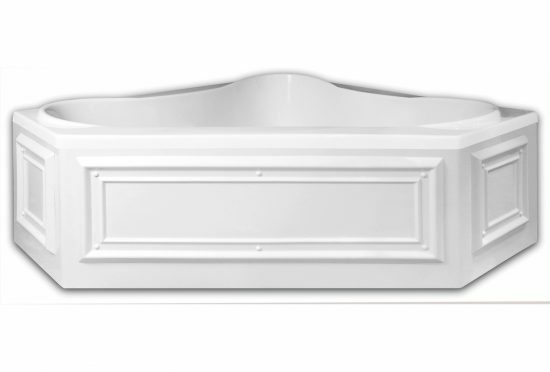 Seamless Skirts: Seamless skirts are an option on any tub that can have a skirt. Choose a 1, 2, 3, or 4 sided skirt design to make your tub truly unique. 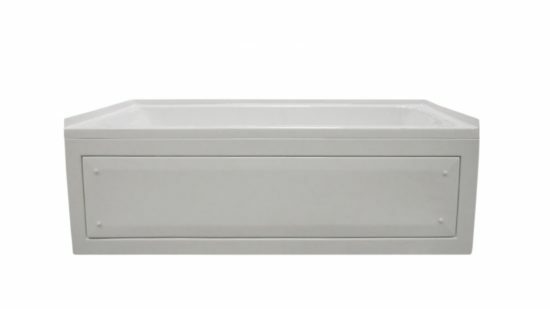 Floating Skirt: The Floating Skirt is designed to give your skirted tub a smaller footprint in the bath. Typically it is a 3″ inset that is 5-7″ tall. This does not increase the overall height of the skirted tub. Zen Skirt/Seamed Skirt: The Zen Skirt is a molded seamed skirt panel that will add to an endless amount of palette designs. Choose 1, 2, 3, or 4 sided skirt design to make your tub your own. Integral Skirt with Access Panel: The integral skirt can be added to most rectangular tubs allowing for a different look or alcove installation. 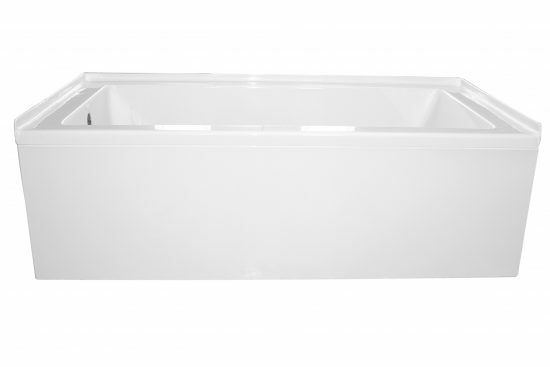 If you are getting a tub with any system we always recommend you consider the skirt with access panel. Having an access panel on your skirt allows you to access all equipment for any needed maintenance and removes need for installing an access panel in your wall.